Seventeen year old Prakriti Chhetri was scrolling through Facebook last September, when she saw a post from New Zealand Red Cross seeking people to join a new youth group in the Manawatu. On a whim, she decided to apply. Prakriti Chhetri (3rd from left) talks with young people at the 2017 youth forum in Canterbury. Fast forward eight months, and Prakriti is now co-leader of the youth group. Together with a team of volunteers, she leads a 61-strong group of young people. The Red Cross group get together each week, alternating between learning emergency preparedness skills and social activities. So far, the group of young people have completed a first aid course together and are looking to adapt and pilot Red Cross’ psychological first aid course for youth. They’re also creating a welcoming environment for former refugees, now new Kiwis, in Palmerston North. Several members of the youth group are former refugees. "We allow them to have a space to communicate with each other, be happy and have fun,” she says. Next year Prakriti plans on studying medicine at Otago University. She wants to continue to be involved with Red Cross through the Otago University Red Cross Club. “Don’t think too much about it,” she says, when asked for her advice for young people wanting to get involved with Red Cross. 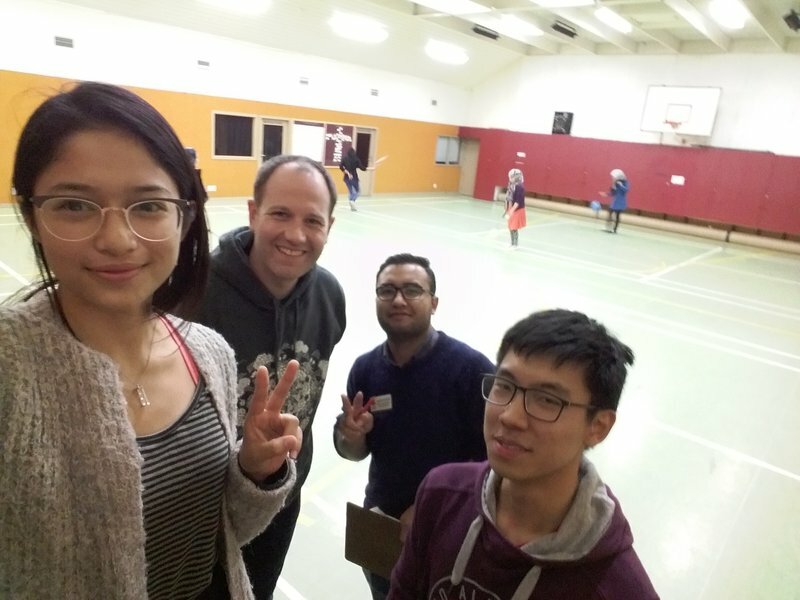 Prakriti (left) with members of the Manawatu youth group, and New Zealand Red Cross Youth Development Advisor, Rod Baxter.